Carey Mitchell, President of the Wilson County Beekeepers Association called the April 2, 2012 meeting to order with 114 members and guests in attendance. Newbees were reminded to practice lighting their smoker before their bees arrive. The minutes from the March meeting were approved. Melissa Everidge of the T-Shirt Committee reported that they had four designs and colors to choose from after the decision was made on short or long sleeve. Petra was asked to email the membership to see what members wanted. Danielle Drueck, Coordinator the Farm Day scheduled for May 9 and 10 stated that she could use a few more bodies to help out. Even if folks could afford a couple hours one or both days would be greatly appreciated. Members were asked to contact Danielle for a works schedule. Wilbanks bees will be delivered on Easter Sunday between 2 and 3 at the fairgrounds. Members were asked to make arrangements for pickup, if they were not available. Also, if queens were available, Hayes will pick up what individuals want, providing he has a total count by Wednesday. He will pay for the queens, Petra will write him a check from the Association when they are picked up, and individuals will pay when queens are delivered. Last month we voted to provide 8 scholarships for first-time conference attendees. If you are interested, let Petra know as she is starting a list and the drawing will be at the July 23rd meeting. We were reminded that beetle traps are available for $1 each and it was recommended using 2 per hive body. Field Day is scheduled for May 19 with a weather alternate of May 26th. 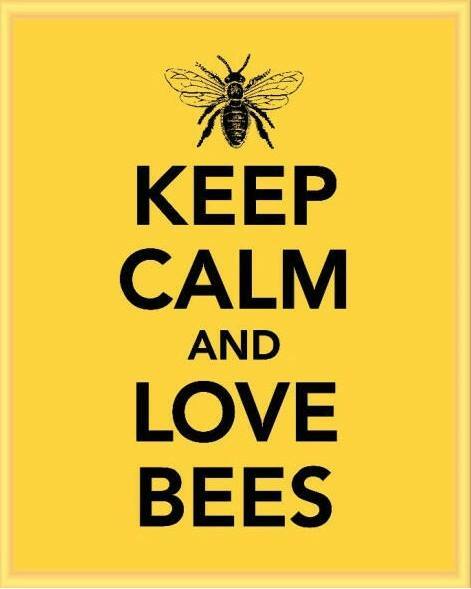 We will set up several locations (newbees yards) this year due to the number of newbees and interest. Final details will be available at the next meeting. Pigeon Mountain Trading Company sent a medium size bee jacket for a door prize. We will be raffling it off for $1.00 per chance with the proceeds going to HomeSafe, our charity for June. We will give it away at the June picnic, and you don’t have to be present to win. Carey mentioned that we will be doing the ‘Basket’ giveaway at the Fair again this year. As this is our only fund raiser, along with the sale of honey at the fair, we will be collecting honey products and bee related items to be ‘raffled’ off for a $1.00 per chance DONATION. Looking for items to be included in the basket, plus we will be in need of a large basket. David Elliott had spent a few days removing a swarm of bees behind the fascia of Mr. Curtis Smith’s home. Being greatly pleased, Mr. Smith made a $300 contribution to the association. Leonard walker introduced our evening’s speaker, Clarence Collison who had a wonderful and greatly informative program: Honey Basics: From the Flower to the Jar. Carey reminded our next monthly meeting is scheduled for Monday, May 7 with Barry Richards presenting Observation Hives. We will be back in the East/West Building. Meeting adjourned at 8:25pm for fellowship and refreshments provided by the membership.